You may already know that Mykonos is a shopping paradise. The most famous international brands can be found here offering a great opportunity to island’s visitors to refresh their wardrobe with some of the latest creations of top designers. But, apart from shopping clothes, jewelry and accessories, in Mykonos you can find some wonderful pieces of art, as the island has a good number of galleries that display paintings, sculptures and decorative items made by famous or upcoming art talents. Even if you don’t plan to buy something, it is worth visiting the best of them to have a closer look at today’s art. To make shopping easier, our Mykonos Luxury Villas offer a private shopping service. Our experienced staff will take care of all the details so that the piece of art of your choice will be delivered safely to your Mykonos Villa or your home! 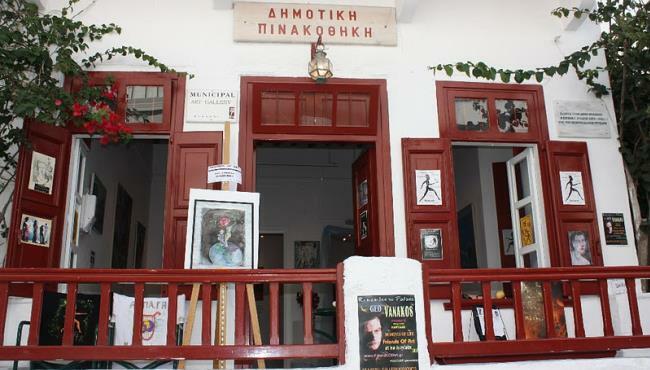 Rarity is the oldest art gallery in Mykonos, as it was founded in 1995. It was the first in Greece to exhibit the works of internationally acknowledged contemporary artists. The exhibits vary between the works of younger artists and more established figures on the international art scene, as to ensure a broader scope, a full spectrum of the contemporary art movements and its various facets. The world of art is presented in harmony with the traditional Mykonian building, which has been renovated with high aesthetics. Here you will find anything from paintings to photography or statues. 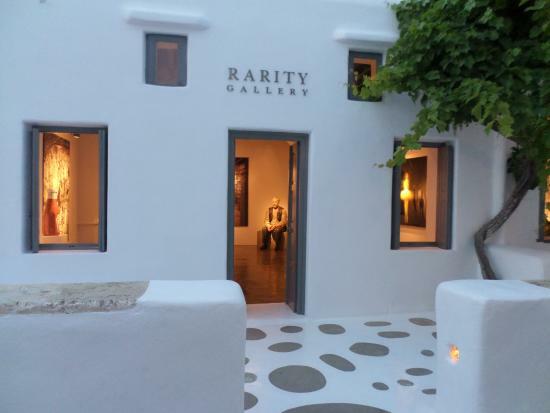 Rarity Gallery aims to present 5 different exhibitions every year so that Mykonos’ guests can meet the art of more famous or not-so-famous-yet talents. 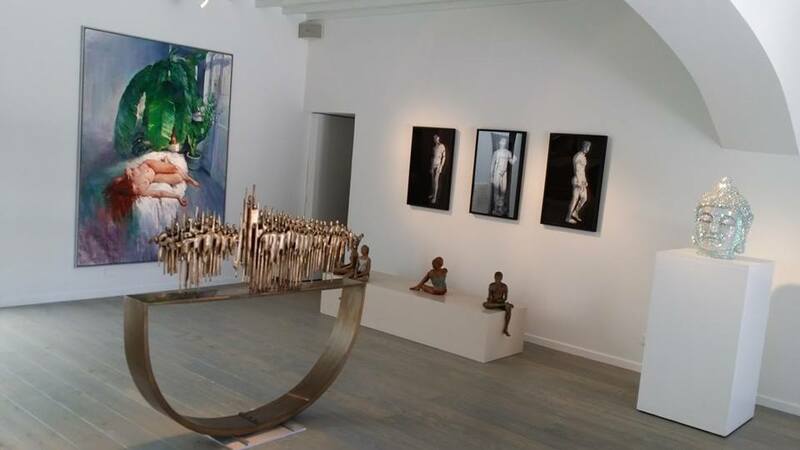 Minima Gallery was first opened in 1997 and since then, the gallery has showcased the work of thousands of artists. The spacious rooms follow the traditional Mykonian architecture with arches, wood and white walls. In Minima Gallery you will find the artwork of upcoming artists, both Greek and international. Some of the best pieces presented here are the amazing landscape photographs and the abstract paintings in intense colors. Among the exhibits, you will also find some stunning statues, replicas of ancient Greek famous pieces. 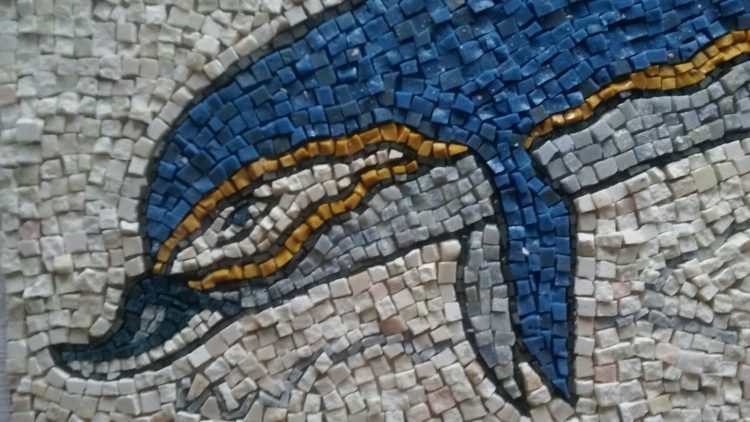 A small gallery near the old port, dedicated to a single, ancient form of art: the mosaics. It brings the heritage and history of Mykonos to bear upon the contemporary art scene. Small pieces of stones in different colors were put one next to the other to create beautiful patterns or pictures that was widespread during the ancient Greek times. In Mosaic Art gallery visitors can see or even buy some very accurate replicas of well-known ancient mosaics or some modern ones. You will easily notice it from the street, as the small yard in front of the white venue usually welcomes you with one or two big sized impressive sculptures – such as the Glass Kouros or the Metal Horses. Inside the Big White Gallery, you can take a trip over Greek history, from ancient times till today. There are pieces of art inspired by the epic, classic Greek period and contemporary art in different forms: paintings, sculptures, prints, ceramics and constructions. The house once belonged to the famous Mykonian painter, Maria Igglesi. Now it serves as a gallery and a cultural center. The exhibits of Municipal Art gallery are creations of contemporary international or Greek artists. From June through October the Municipal Art Gallery hosts a number of artistic events often organized in conjunction with the Mykonos School of Fine Art. Finally, the Gallery also operates as a site for seminars, lectures and workshops so that it forms a fully functioning cultural center as well as an art gallery. In one of the most beautiful sandy beaches of the island, you will find a different boutique art gallery. No other location could be more suitable for the special kind of art that Eden Fine Art Gallery and its 26 artists offer. 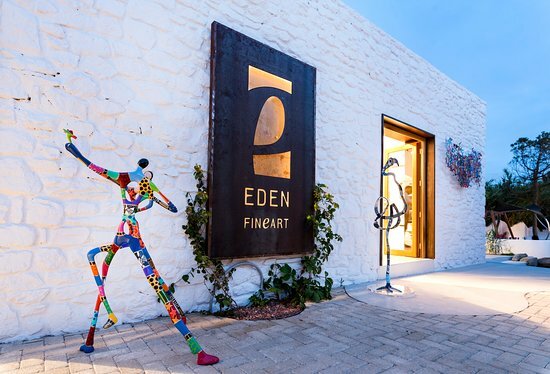 Eden Fine Art is a famous chain of galleries with stores in New York, Florida, London and recently in Mykonos as well. 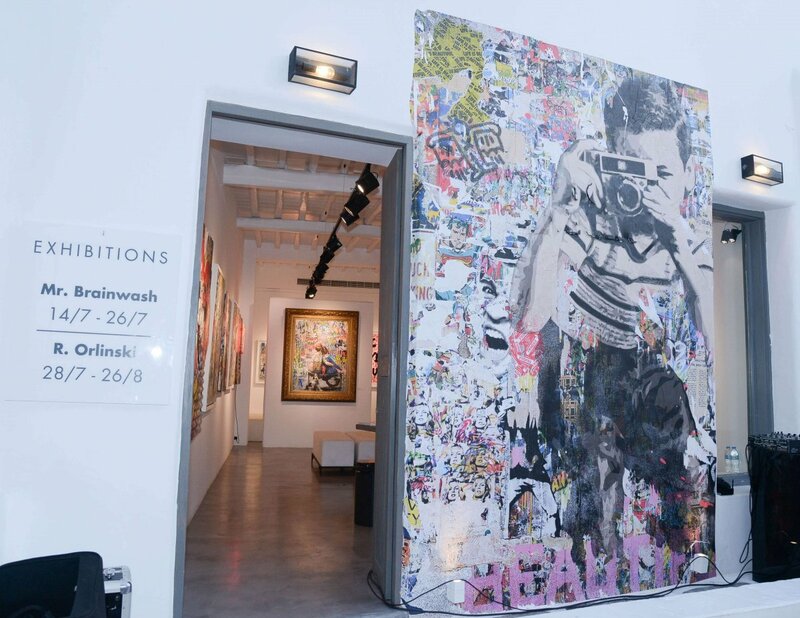 The brand specializes in pop art and represents some of the most well-known artists such as Alec Monopoly and David Kracov. At Eden Fine Art Mykonos you will find internationally renowned artworks just seconds from one of the world’s most glamorous seaside locations. Vivid colors, unusual forms and a warm, modern environment are waiting to introduce visitors to the unique world of pop art. There are plenty of small pieces of art here which you can easily carry back home with you. 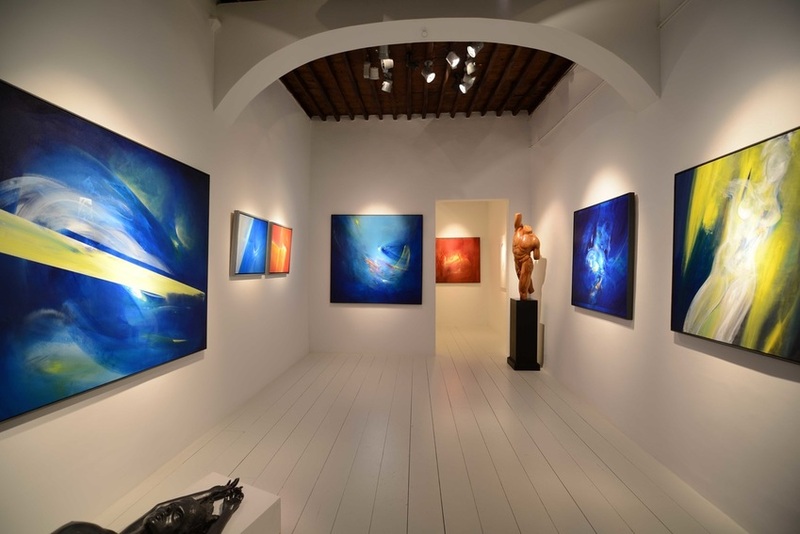 Kapopoulos Fine Arts is one of the most influential and longest-running Greek art galleries and has championed the careers of many Greek artists. Mr. Vangelis Kapopoulos established Kapopoulos Fine Arts Gallery in Athens, Greece in 2004. Since then it has been constantly expanding and reached Mykonos in 2008. 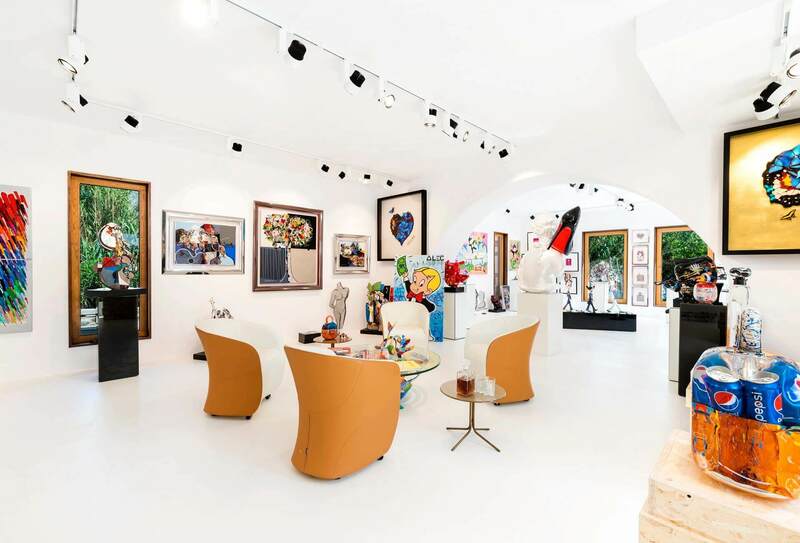 This art gallery and auction house host the work of famous Greek and foreign artists, all come with certificates of authenticity. The auction house has served to increase the profile of Greek art, hosting a number of events throughout the year. The styles and skills of the artists on display here are hugely varied and cater to all aesthetic tastes. offer a private shopping service. Our experienced staff will take care of all the details so that the piece of art of your choice will be delivered safely to your Mykonos Villa or your home!